Four days to go to the Standard Chartered Marathon in Singapore. 42.2km dragging a 10kg tyre. 8 hour cut-off. Singapore heat. Can it be done? I didn’t know when I first agreed to do it. That’s one reason I signed up. I remember convincingly explaining to a journalist that I could do it. Then, after the call, quickly checking the marathon cut-off time. 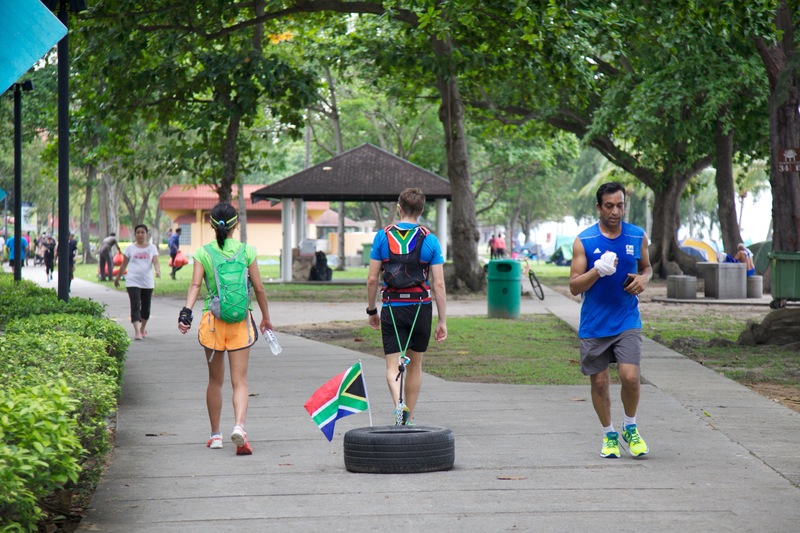 Then checking my longest tyre drag to date at that point – which had been 4.4km at 12 minutes per km. That’s 5 km per hour or 40 km in the 8 hour cut-off. The marathon distance is 42.2km so I would be 2.2km short of the finish line when the race cut-off. The marathon would also be 10 times longer than my longest tyre drag! Better get training. Denzil would be my training partner. He’s a 10kg Yokohama tyre that didn’t have enough tread remaining to serve his former purpose. Like me, he was looking for a new adventure and excited to see if a marathon would be possible! We met one humid Saturday afternoon near the Singapore National Sports Stadium. The first thing I leant was not to meet on humid afternoons. It’s north of 30 degrees Celsius during the day in Singapore. Taking Denzil for a drag in those conditions is really tough. I would focus on building up the distance during the cooler evenings, then come back to dealing with the heat later. We headed out most evenings for a drag. Shorter drags would be around Marina Bay and the Barrage, longer ones out along the beaches of East Coast Park towards Changi Airport. Over time the distances got longer (I still remember crossing 10km for the first time) and I learnt to walk at a consistent, faster pace. We also made new friends. 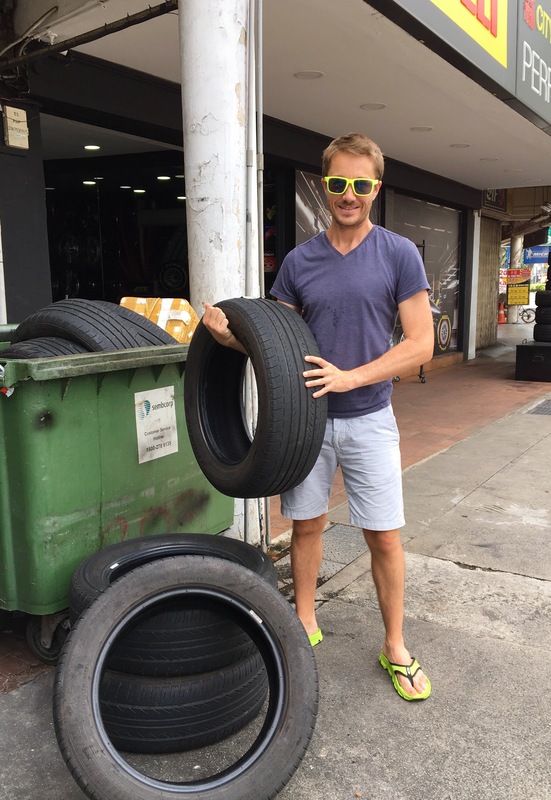 After being featured in local media (the Straits Times, TODAY & Yahoo) other runners would come up and ask if the tyre was the “Denzil they had read about”! 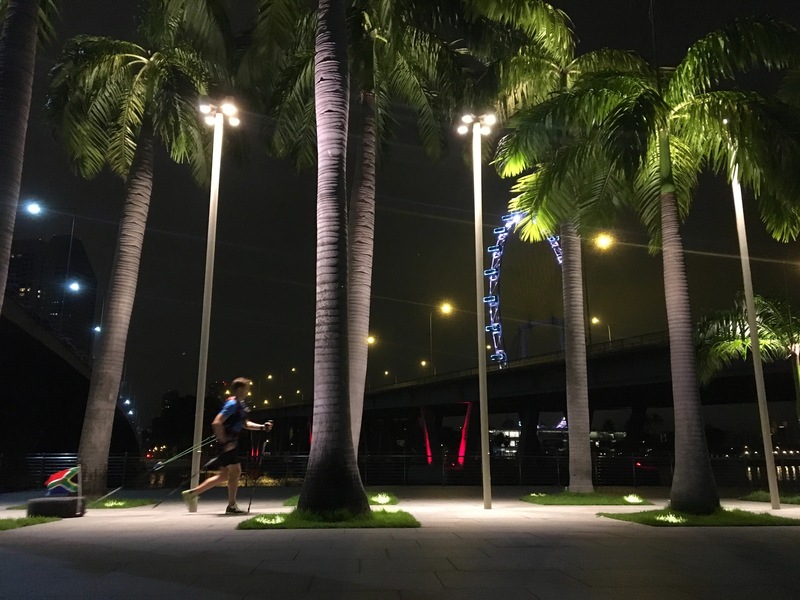 Many of them were also out training for the 2016 Standard Chartered Marathon, so hopefully we get to meet again along the route this weekend. 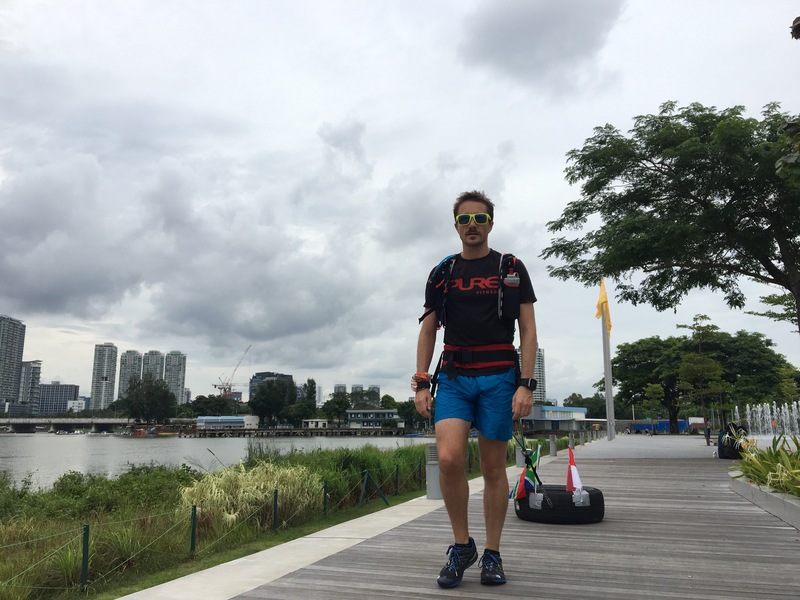 Denzil is kitted out with both South African and Singaporean flags now so should be easy to spot in the crowd! My next adventure will need another 10-fold increase in distance. The Yukon Arctic Ultra is a 485km non-stop race across the frozen Yukon in February. I’ll be there with a pulk containing all my gear and food in tow. That, in turn, takes me another step closer to going South (all the way South.) To be continued.